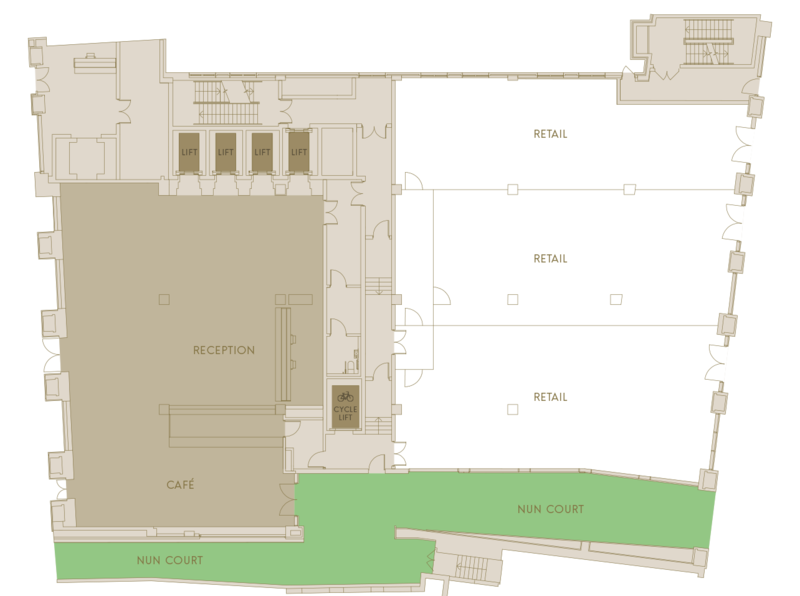 Entering the building on Coleman Street, tenants are welcomed by a spacious, 4 metre high reception. 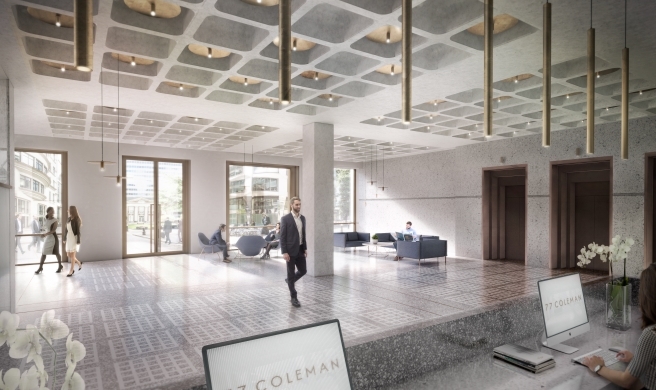 The reception and breakout space feature distinctive, luxurious finishes and floor-ceiling glazing overlooking Coleman Street Garden. 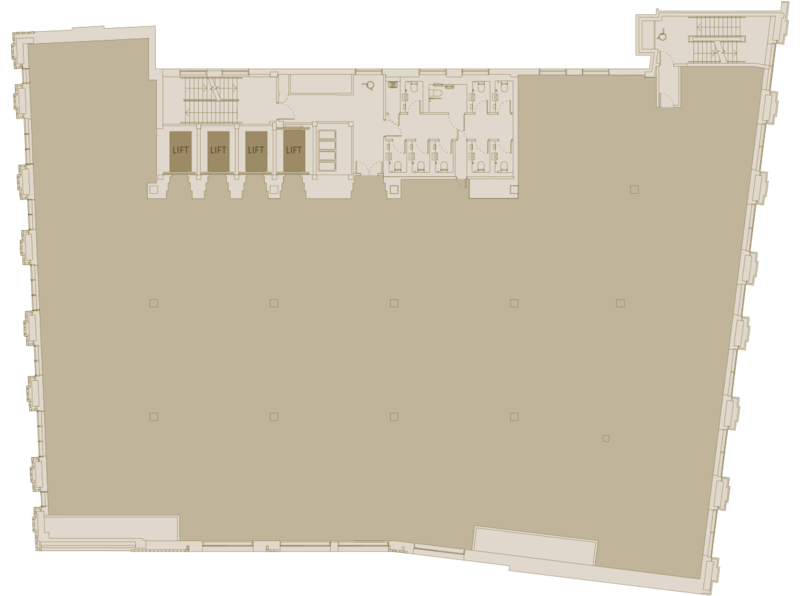 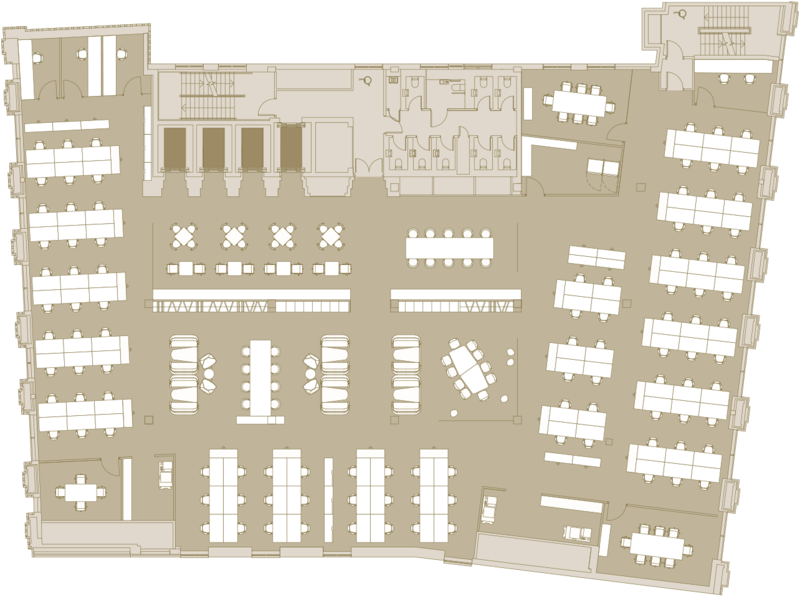 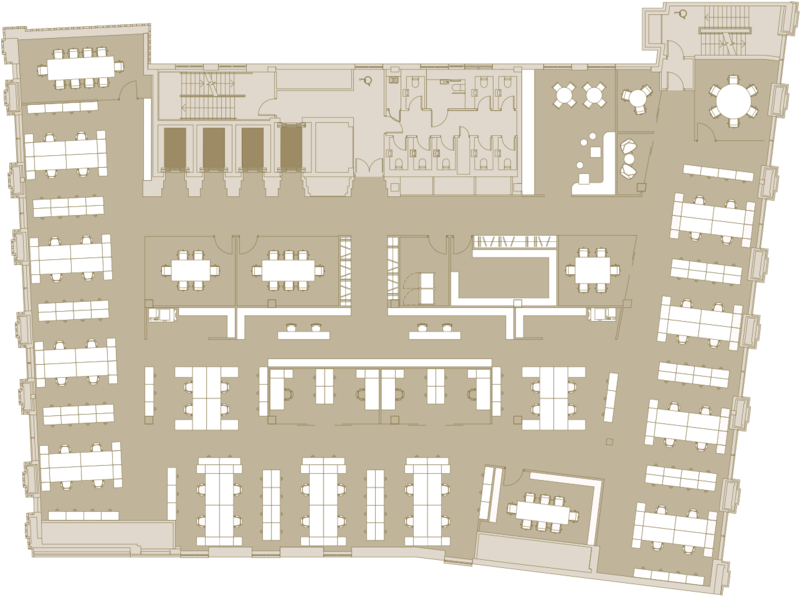 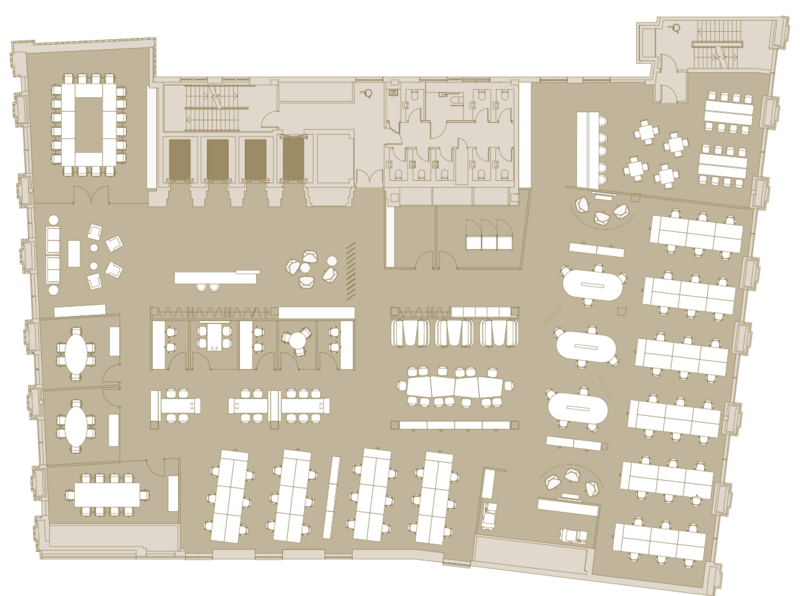 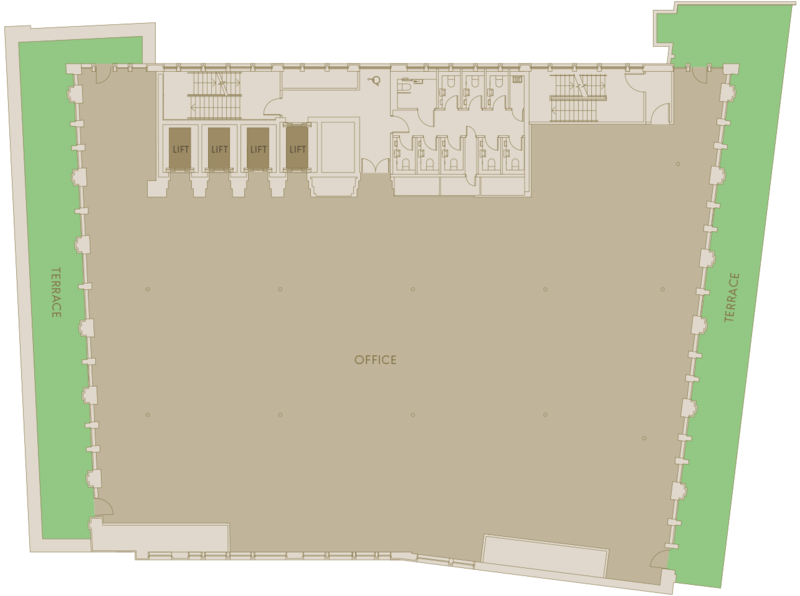 Floor plan not to scale, for indicative purposes only.